If you have any questions, please contact Prof. Ana Catarina Teixeira (ana.teixeira@emory.edu). 1968 stands out for the gravity of its events in a decade marked by political and social turmoil around the world. In the United States, Robert Kennedy and Rev. Martin Luther King Jr. were assassinated. In Europe, the Soviet Union invaded Czechoslovakia to crack down on reformist trends, while student protests and violent confrontations in Paris garnered international attention. For Brazil, however, the effort to challenge the military government was followed by a sharp reduction in civil and human rights. 68 is remembered, on one hand, as a year of resistance and street protests against the military dictatorship and, on the other, as a time when the regime consolidated its repressive approach to governance. In commemoration of 50 years after the iconic year of 1968, Emory’s Department of Spanish and Portuguese and the Latin American and Caribbean Studies Program, in collaboration with the Department of Film and Media Studies, with the generous support of the Halle Institute’s Brazil Initiative at Emory University, present a film series focusing on how cinematographic productions have responded and continue to respond to Brazil’s Military Dictatorship (1964-1985), giving particular emphasis to the events of 1968. With this film series, we hope to create a forum for an engaging, interdisciplinary dialogue between undergraduate and graduate students as well as faculty members interested in evaluating how film contests hegemonic political accounts, investigating how artistic productions play a role in interpreting the past, and examining the interconnections between history, memory, and national identity. As was the case in most of the world, Brazil saw important political and social shifts in the 1960s. The military coup d’état that ousted President João Goulart in 1964 established an authoritarian military dictatorship that ruled Brazil for the next twenty-one years. Although some believed the armed forces would quickly depart from power, the military leadership had a very different vision for the nation. Students, artists, and intellectuals turned 1968 into a monumental year of resistance against the dictatorship. Growing political protests, mostly organized by students, were repeatedly suppressed with ruthless political violence. Hundreds of students were injured, many died, and thousands were arrested in the first half of 1968. Sensitive to the negative impact of these episodes, the military finally agreed to a student demonstration. On June 26, 1968 the “The March of the One Hundred Thousand,” or the “Passeata dos Cem Mil” took place and proved to be a turning point in the history of resistance to the military dictatorship. Hardliners in the government had little interest in democratic reforms. Along with these demonstrations, their position solidified in response to the Chamber of Deputies’ refusal to sanction the regime’s prosecution of Congressman Márcio Moreira Alves, who had given a protest speech calling for a boycott of independence day celebrations. In response, the government sought to further concentrate its power. The government ended 1968 by tightening its authoritarian grip, issuing Institutional Act 5 (AI-5), the most infamous of all the of the dictatorship’s decrees. The Institutional Acts functioned, during the twenty-one years of military regime, as the highest form of legislation, enforced without judicial review. AI-5, in particular, not only further restricted freedom of the press by requiring prior approval of all media content and inspection by authorized agents but it also required previous authorization by the police for any political gatherings and suspended habeas corpus for crimes of political motivation. In many ways it represented the consolidation of military rule. We will screen 5 films throughout the school year. 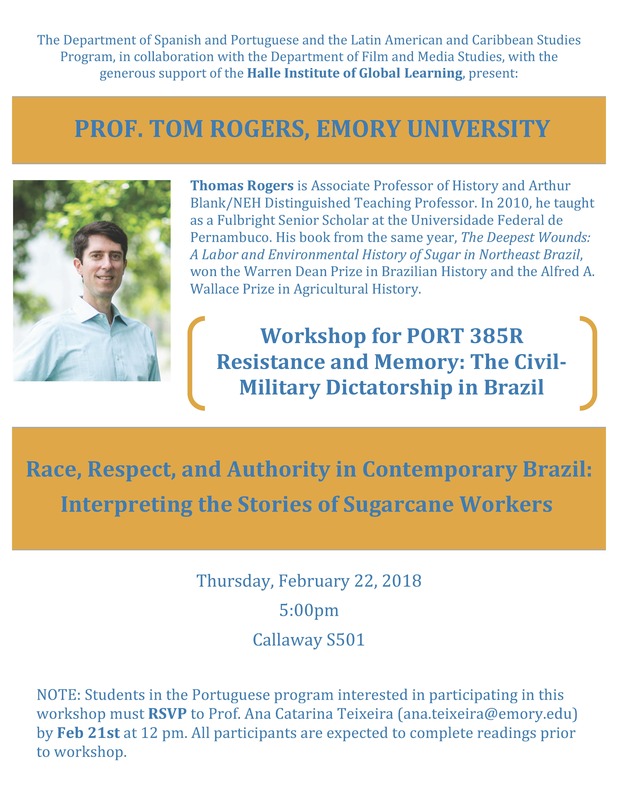 This will be followed by a two-day symposium on March 23rd and 24th 2018, bringing together undergraduate and graduate students as well as faculty members at Emory from different disciplines, whose research and interests focus on Brazil and on the Lusophone world and/or on questions related to civil rights, authoritarian regimes, and citizenship. This film series has been integrated into several courses taught during the current school year: in the Fall, HISP 710, titled “Memories of the Civil-Military Dictatorship in Brazil” taught by the Fulbright Chair Visiting Professor and PORT 300W, “Brazilian Texts and Cultures” taught by Prof. Ana Fauri. In the Spring, HIST 361,“Brazil: The Country of the Future” taught by Prof. Tom Rogers, and PORT 412, “Brazilian History in Literary and Cinematographic Texts” taught by Prof. Ana Catarina Teixeira. The last film screening will be followed by a mini-symposium on March 20, 2018. 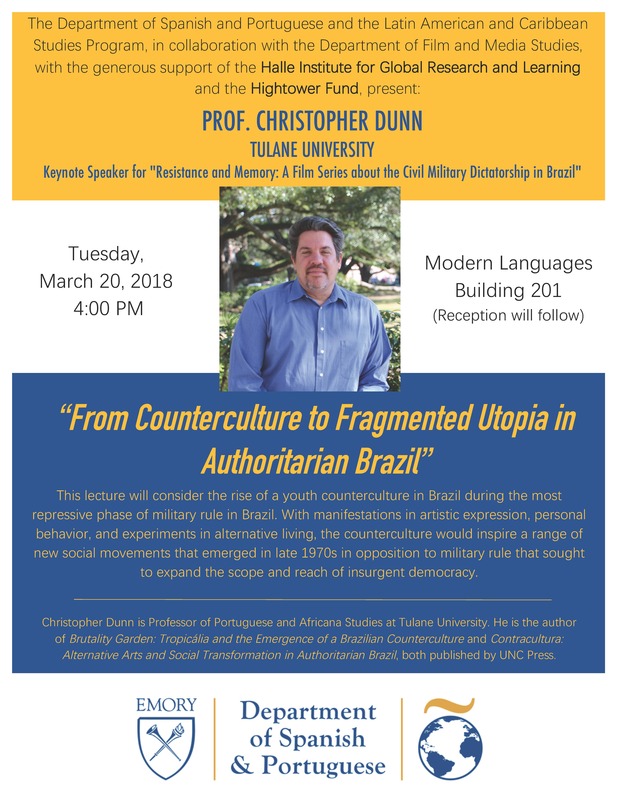 The keynote speaker will be Prof. Christopher Dunn (Tulane University), who will speak at 4PM on that day. Click here for more info. U.S. meddling in South American politics is starkly uncovered in "The Day That Lasted 21 Years," a painstakingly researched expose of the 1964 Brazilian military coup. Sifting through a wealth of interviews, declassified documents and period audiotapes, helmer Camilo Tavares delivers a damning, unassailable assessment of JFK and LBJ's bullying policy of communist containment, and the damage it did to Brazil's democratic institutions. Though tech quality is uneven and Tavares allows too many repetitions, he's delivered an eye-opening docu whose merits deserve fest and ancillary support. Film will be introduced by Jacob Kasel, Spanish and Portuguese Major, Emory College 2019. Directed by Pedro Asbeg, Democracy Black and White focuses on a unique moment in the history of Brazil: how the Corinthian Democracy - a revolutionary soccer movement in the beginning of the 1980s -played a role in search of a more democratic Brazil. At this time, the players of Sport Club Corinthians - the most popular and successful club in São Paulo - had tremendous decision-making power: they gave opinions about the hiring process and freely defined that prizes should be equally shared not only among athletes, but also with all the other employees (drivers, janitors, bodyguards, etc). During the games, the team played with its traditional black and white jerseys with the lines "Corinthians Democracy" and "On the 15th of November, vote". No other club or any other sport institution dared to do anything similar at the time. This isn't a documentary just about soccer, but about one's right to freedom and to make decisions democratically. 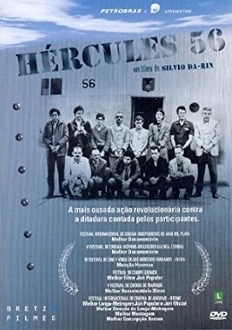 In 1969, two revolutionaries groups, fighting dictatorship in Brazil, kidnapped the American ambassador, exchanging his freedom for the liberation of fifteen political prisoners, flown to Mexico in a governmental aircraft named Hercules 56. Thirty-six years later, nine survivors of that group and five members of the organizations responsible for the kidnapping give their version of the facts and debate motives and consequences of the use of armed actions against the dictatorship in Brazil at the time. This film is the fictional version of the 1969 abduction of the United States Ambassador Charles Burke Elbrick. Loosely based on the 1979 memoir O Que É Isso Companheiro (in English, What's This, Comrade? 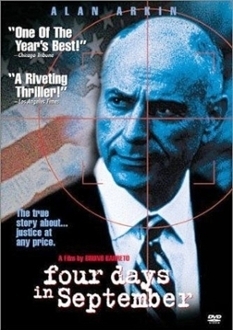 ), written by Fernando Gabeira, a member of the student guerrilla group responsible for Elbrick's kidnapping, Four Days in September dramatizes the planning stages and the execution of the abduction while addressing the military dictatorship's ruthless repression of dissent. In 1962, the leader of the Camponesa de Sabé (SP) league, João Pedro Teixeira, is assassinated on the orders of Brazil's "latifundiário" large-scale landowners. A movie about his life began to be filmed in 1964, with the fictional reconstitution of the political action that lead to his assassination, a product of CPC da UNE and the Movimento de Cultura Popular de Pernambuco, and direction from Eduardo Coutinho. 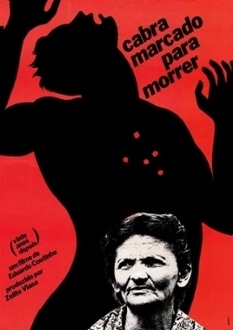 The filming, which included the participation of country folk Engenho Galiléia (PE) and João Pedro’s widow, Elizabeth Teixeira, was interrupted by the coup d`état in 1964. Seventeen years later, in 1981, Eduardo Coutinho retakes the project and searches for Elizabeth Teixeira and other participants of the interrupted film, like the countryman João Virgílio, also acting in leagues. The central theme is the story of each and every one of the participants who, stimulated by the filming and reviewing the past images, elaborate on camera the feelings derived from their experiences. João Virgílio recounts the torture and the imprisonment he suffered during this period. Whereas Elizabeth, who had changed her name and lived under the refuge of a small city in Bahia with only one of her 10 children, emerges from her clandestine life and reassumes her identity. She also talks about her life in prison, her reunion with her children, her various trips through cities in Brazil and the hope of reconstructing their lives. Em 1962, o líder da liga Camponesa de Sapé (PB), João Pedro Teixeira, é assassinado por ordem de latifundiários. Um filme sobre sua vida começa a ser rodado em 1964, com a reconstituição ficcional da ação política que levou ao assassinato, uma produção do CPC da UNE e do Movimento de Cultura Popular de Pernambuco, e direção de Eduardo Coutinho. As filmagens com a participação de camponeses do Engenho Galiléia (PE) e da viúva de João Pedro, Elizabeth Teixeira, são interrompidas pelo Golpe Militar em 1964. Dezessete anos depois, em 1981, Eduardo Coutinho retoma o projeto e procura Elizabeth Teixeira e outros participantes do filme interrompido, como o camponês João Virgílio, também atuante em ligas. O tema central passa a ser a história de cada um deles que, estimulados pela filmagem e revendo as imagens do passado, elaboram para a câmera os sentidos de suas experiências. João Virgílio conta a tortura e a prisão que sofreu neste período. Enquanto Elizabeth, que havia mudado de nome e vivia refugiada numa pequena cidade da Bahia com apenas um de seus dez filhos, emerge da clandestinidade e reassume sua identidade. Ela também fala de sua prisão, do reencontro com os filhos, antes dispersos por várias cidades do Brasil e da tentativa de reconstituir suas vidas. Prêmio Gaivota de Ouro no Festival Internacional de Cinema, 1, 1984, RJ. Prêmio Tucano de Ouro no Festival Internacional de Filme e Vídeo, 1, 1984, RJ. Melhor Documentário no Festival de Havana, 4, 1984, Havana - CU. Grande Prêmio no Festival de Tróia, 1985 - PT. Prêmio Especial do Júri no Festival de Salsa - IT..
Grande Prêmio no Festival de Cine Realidade, 1985, Paris - FR..
Prêmio no Festival Georges Pompidou, 1985 - FR..
Prêmio do Júri Evangélico, Crítica Internacional, Associação Internacional dos Cinemas de Arte e Fórum de Cinema Jovem no Festival de Berlim, 35, 1985, Berlim - DE. Golfinho de Ouro do Cinema do Governo do Estado do Rio de Janeiro. Eight Undergraduate Students have been accepted as Workshop Fellows for the Film Series. These fellows will complete readings, participate in three lectures/discussions each semester led by Emory faculty members, attend and participate in the film screenings, submit written responses, and develop a research project. Why do you study Portuguese? While it was originally a way for me to fulfill the college’s language requirement, Portuguese has become an integral part of my studies at Emory. My study of Portuguese has allowed me to expand my interests in languages and literatures, as well as connecting to my interests in music. Further, learning Portuguese has given me access to a wealth of materials, texts, and knowledge that wouldn’t have been open for me before. This has been instrumental in shaping my research interests in ethnomusicology and I’m currently working on an honors thesis that examines many of the themes that I’ve been introduced to through Portuguese. What excites you about this workshop? I am very interested in the study of issues of identity, race, and politics and their representation in communities’ cultural production. Film, like music or literature, allows us to interrogate many of these issues within the context of the community. This workshop gives me the opportunity to use film as a lens for studying many of these cultural questions and will allow me to further my knowledge of Brazilian and Lusophone culture. Why do you study Portuguese? I study Portuguese because of my interest in cultures and because of my sociological background. I am very interested in Portuguese-speaking countries and how their societies intertwine both socially and culturally, as well as compared to other countries like the US. What excites you about this workshop? I am excited to learn more about the dictatorship in Brasil and how that is reflected through the film industry. I also find it interesting that there might be a variety of perspectives on the matter at hand, especially when viewed from a directorial standpoint and the purpose behind the director’s choice in characters, setting, etc. Why do you study Portuguese? I am passionate about languages! I already had a foundation in Spanish and wanted to expand my language skills into a new venture and found Portuguese. I am also interested in Lusophone history and culture. What excites you about this workshop? As a student within the Spanish and Portuguese Major and as someone who is interested in Brazilian culture and history, this opportunity would be a good fit towards allowing me to have a better understanding of the period of military dictatorship. Why do you study Portuguese? I study Portuguese because I love languages and the community of Portuguese students here at Emory. I have had the chance to visit Brazil twice, and I think that was one of the best rewards that studying Portuguese has given me. I love this language so much that I am currently writing an honors thesis based on the research that I conducted in Brazil this summer. Why do you study Portuguese? Oddly enough, I was compelled to study Portuguese after studying abroad for a summer in Spain. I was excited to learn as much as I could and take advantage of every opportunity in that time. One of these opportunities included an excursion to Portugal. Walking the streets of Lisbon, I knew very little about the culture or language. Regrettably, I assumed I could use Spanish to communicate and things would be fine. It was a painful when I realized how many people I offended. While Spanish and Portuguese may sound similar at first, the two languages and their cultures are very different. The time I spent in Lisbon encouraged me to study Portuguese and learn these differences. 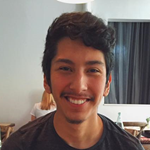 I have learned a great deal studying Portuguese at Emory so far and am eager to learn more about the Lusophone world so that I can continue to better my understanding of the unique language and culture. What excites you from this workshop? Last Fall I had the opportunity to take Professor Gold’s Spain-Culture of Human Rights course. As part of a final research paper, I focused my studies on the change in the representation of the immigrant experience in contemporary Spanish cinema following the Franco dictatorship. My film studies last Fall emphasized the dilemma many filmmakers face when trying to create something that is both entertaining and precise in detail to controversial events. This workshop series seems to be the perfect opportunity to observe a similar situation in another cultural setting like the Brazilian Civil-Military Dictatorship. Nevertheless, I am excited to learn new techniques and resources for analyzing film as well as learn about key socio-politico-economic issues that existed (and maybe still exist) in Brazil during that time. Why do you study Portuguese? One of my mother's best friends is from Brazil, and she has always sparked my interest in the language and culture. Emory's Portuguese department has given me the opportunity to take courses that expand my knowledge in a Lusophone world I really did not know about. What excites you from this workshop? As an Emory student, I have been able to take courses related to the Portuguese revolution and the liberation of multiple African countries. However, I have not focused on the military dictatorship and its impact on Brazilian contemporary society. This workshop is giving me the fantastic opportunity to do so. Major: I am applying early to business school this fall semester with a double major in Spanish and Portuguese combined major. 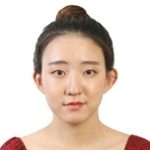 Hometown: I mostly lived in Korea throughout my life and attended to international school. Why do you study Portuguese? I started learning Portuguese simply because it was similar to Spanish. However, its accent and intonation were very attractive to me, which made me continue learning Portuguese. What excites you from this workshop? During my first Portuguese class, we watched several lusophone films, which motivated me to learn more about its history and culture. I believe that films play an important role in representing different perspectives of viewing certain historical period. Throughout this workshop, I am excited to meet film directors and professors to expand my knowledge about dictatorship in Brazil. Why do you study Portuguese? 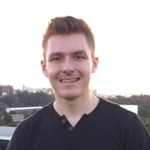 Jacob’s passion for language stems from the constant presence of different cultures in his life: having a Czech mother and an American father and moving several times in his life has provided him with constant challenges to see the world through varying cultural lenses, and learning languages has proved to be one of the most fruitful ways of doing so. This passion led him to study Portuguese, which he finds particularly exciting due to the cultural, linguistic, literary and cinematic diversity of the lusophone world. What excites you about this workshop? Jacob is particularly excited to participate in this workshop in order examine how film, as a distinct medium, has influenced not only Brazilian history, but how it has also influenced the ways in which Brazilians consider the past of their country--that is, how film helps to construct the narratives used to understand the Brazilian past. 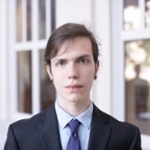 Andrew G. Britt is a PhD candidate in Latin American History at Emory University. His primary interests are comparative race/ethnicity, spatial history, and modern Brazil. 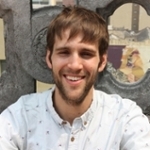 Based on archival research, oral histories, and historical geographic information systems (HGIS) methodologies, his dissertation examines the co-construction of race/ethnicity and urban space in Brazil's most populous and ethnoracially-diverse city, São Paulo. Titled "'I'll Samba Someplace Else': Making and Marking São Paulo, 1938-1986," the project centers on the interwoven histories of three São Paulo neighborhoods marked in elite and popular thought as "Afro-Brazilian" Brasilândia, "Japanese" Liberdade, and "Italian" Bexiga. His research has been supported by grants from the Fulbright-Hays program and the Social Science Research Council. ﻿Marissa Nichols studies the history of Latin America as a doctoral student at Emory University. Her pre-dissertation research centers on the political and cultural histories of vaccination in rural, twentieth-century Mexico. 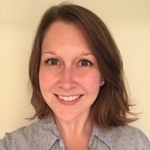 Before starting at Emory in 2016, Marissa graduated with a master’s degree in history from UNC Charlotte (2016) and a bachelor’s degree in history and Spanish from Bridgewater State University (2014). At UNCC, Marissa completed an award-winning thesis on post-revolutionary Mexico’s smallpox vaccination program. Though focused on public health, Marissa’s coursework has cultivated additional interests in Portuguese and the history of Brazil. 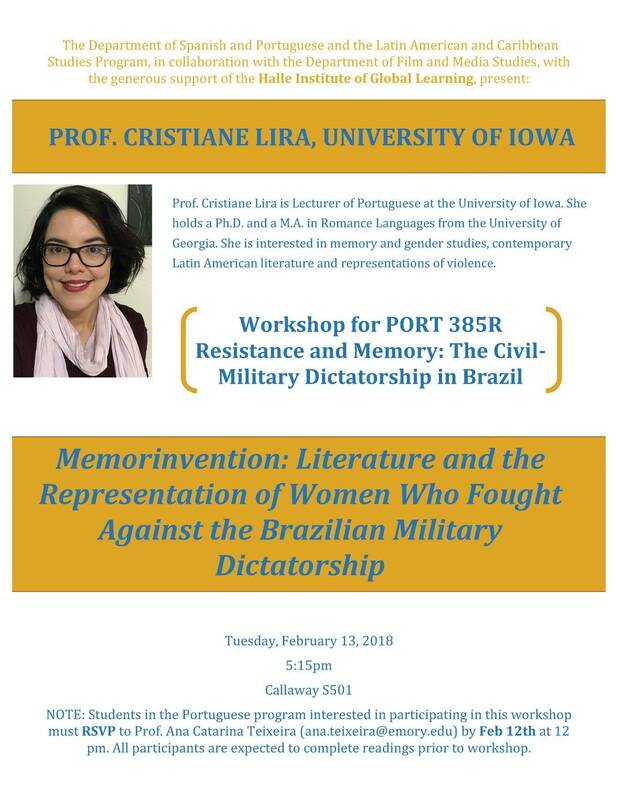 The film series on the civil-military dictatorship complements one of her current (Fall 2017) graduate courses on memories of Brazil’s dictatorship. Both the film series and her research touch on themes of memory, culture, and resistance/ repression in the 1960s. Emily Pingel is a 3rd year PhD student in the Sociology Department. Her research explores community-based health in São Paulo, as well as HIV prevention among gay/bisexual men in Atlanta. 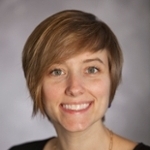 Emily received her Master’s in Public Health from the University of Michigan in 2009 and was Managing Director of the Center for Sexuality and Health Disparities before coming to Atlanta to pursue doctoral study. 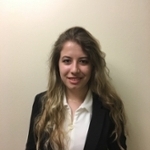 Emily is taking Dr. Benito’s Schmidt’s course this semester on the Brazilian civil-military dictatorship; she is interested in how the current Brazilian health system grew out of the health activism of the dictatorship period. 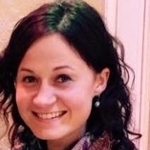 Shari Wejsa is a second-year PhD student in Latin American History at Emory. 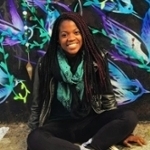 She is broadly interested in issues of human rights and social justice in modern Latin America and the experiences of African refugees and migrants in Brazil in the post-colonial period, more specifically. 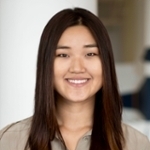 Prior to entering the program at Emory, she completed graduate work in Latin American and Caribbean Studies at Columbia University and Education at Rutgers University and undergraduate studies in History and Spanish Literature and Culture at Rutgers. In 2013, she conducted field research in Salvador, Bahia on Brazil’s National Truth Commission, which investigated human rights violations primarily committed during Brazil’s 1964-1985 civil-military dictatorship. She is grateful for the opportunity to contribute to the Resistance and Memory Film series.